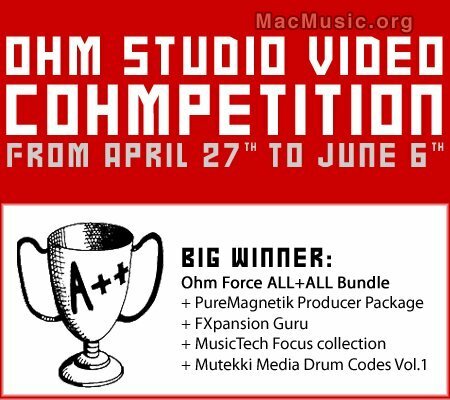 Ohm Force has launched a new video contest called the Ohm Studio Video COhmpetition. "How do you use the Ohm Force plugins? How do they help you to give your personal touch to your audio tracks? What Ohm tricks & threats have you already learnt and/or created, from the most known and used to the secret techniques you keep for the *right* moments? In this contest you'll be able to share your ohm studio techniques with all the ohmfriends around the world. And maybe get a huge prize kit in reward." Want a good reason to already start thinking on a scenery for your nice video? There is a instant-prize : all accepted submissions already win 1 Ohm Force plugin of choice, for free, no strings attached ! !